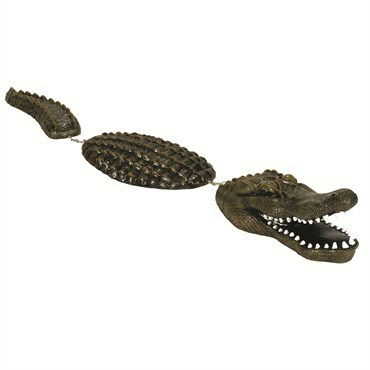 Fool your friends with this Alligator floating decoy. Looks like a real Alligator! 3 hinged body parts allowing it to float freely and life-like in the pond. Natural body movement will also deter herons and other predators from visiting the pond.